People have eaten oysters for at least the last 6,000 years. Oysters have tremendous nutritional value, they filter huge amounts of water, and they even produce pearls. The nutritional value of oysters - Oysters are not only delicious, but they're also one of the most nutritionally well-balanced foods, containing protein, carbohydrates and lipids. 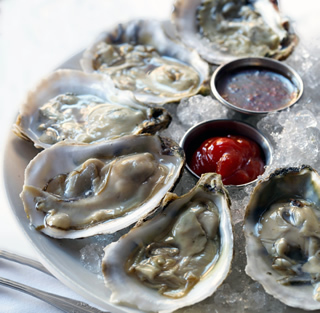 The National Heart and Lung Institute suggests oysters as an ideal food for inclusion in low-cholesterol diets. Oysters are an excellent source of vitamins A, B1 (thiamin), B2 (riboflavin), B3 (niacin), C (ascorbic acid) and D (calciferol). How do pearls end up inside of oysters? 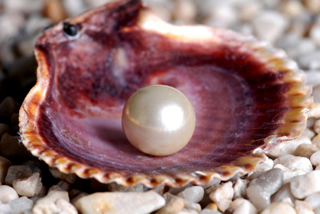 An oyster produces a pearl when foreign material becomes trapped inside the shell. The oyster responds to the irritation by producing nacre, a combination of calcium and protein. The nacre coats the foreign material and over time produces a pearl. Although it is possible for food oysters to produce pearls, they should not be confused with actual pearl oysters, which are from a different family of bivalves.